/ How Many Moving Boxes Do I Need? Accuracy is going to play an important role in trying to figure out how many moving boxes you need for your next move. The rough estimation may do the trick, but you may not be able to purchase enough boxes for your needs. Worse, you may also get the wrong box sizes. It is essential to calculate the number of boxes required to pack your belongings. A moving box calculator should come in handy so you can get an exact estimate. The size of your home is one of the factors for determining the number of boxes you need. The bigger your home, the more boxes you need. Purchasing small, medium, large and even extra large moving boxes is a good idea, but you will also have to think about the quality of the boxes. Are they strong enough to keep your items damage free? Your box should be sturdy enough to protect fragile items. 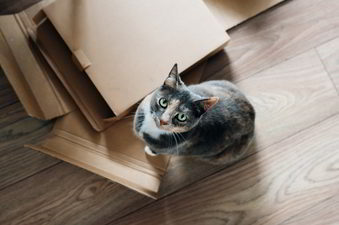 If you only have 2 to 3 rooms, you will need approximately 10 small boxes, 1 medium boxes and 3 large boxes. However, if you have a bigger house with 3 to 5 rooms, you need to prepare at least 15 small boxes, 2 medium boxes and 8 large boxes. If you have 5 or more rooms, you will need to prepare 25 small boxes, 25 medium boxes and at least 15 large boxes. The standard moving box dimensions may vary from mover to mover. A large box may only appear small to some. This is why asking for the exact size or using the calculator is recommended. Avoid the rush, calculate how many moving boxes you need in advance so you can save time and money. The longer you live in your home, the more stuff you have to pack. Estimating the number of moving boxes will be a tedious job if you fail to classify your items. Classification enables you to identity the stuff you are giving away and going to keep. Moving house is expensive if you are not keen on selecting cheap moving boxes. However, cheap boxes do not have to be made from low-quality materials. Choose the ones that can protect your items. For your moving and packing needs, check out movesboxes.com.au. We offer a wide range of options for your moving needs. Visit our website to find out about the moving materials we offer. Aside from moving boxes, we also have a removalist to help you move your stuff, just visit moves.com.au for more information.